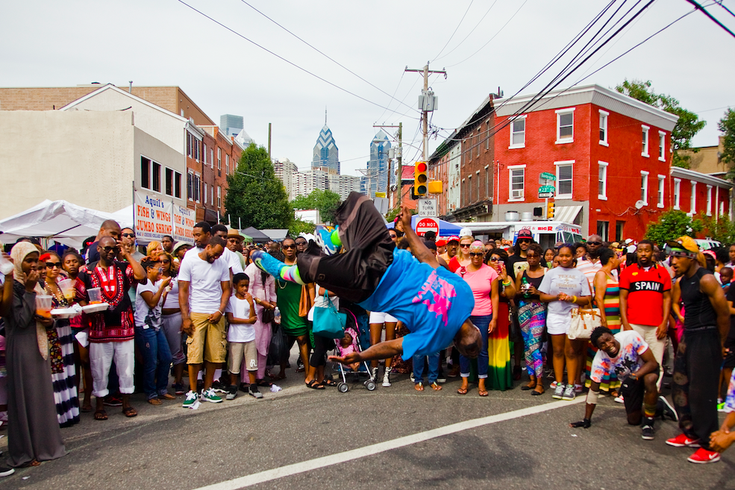 The Odunde Festival, held each June on Philadelphia’s South Street, is the largest African-American street festival in the nation. The annual Odunde Street Festival will return to Graduate Hospital on Sunday, June 11. The event, now its 42nd year, is the largest African-American street festival in the country. Spanning 12 blocks, the family-friendly festival features an authentic African marketplace, a full roster of performances and a mix of African, Caribbean and soul foods. From 10 a.m. to 8 p.m., attendees can shop, eat or watch traditional dances and live musical performances. Before heading to the festival, get some street style inspiration from last year's attendees. The Odunde Street Festival is free to attend; just pay-as-you-go.